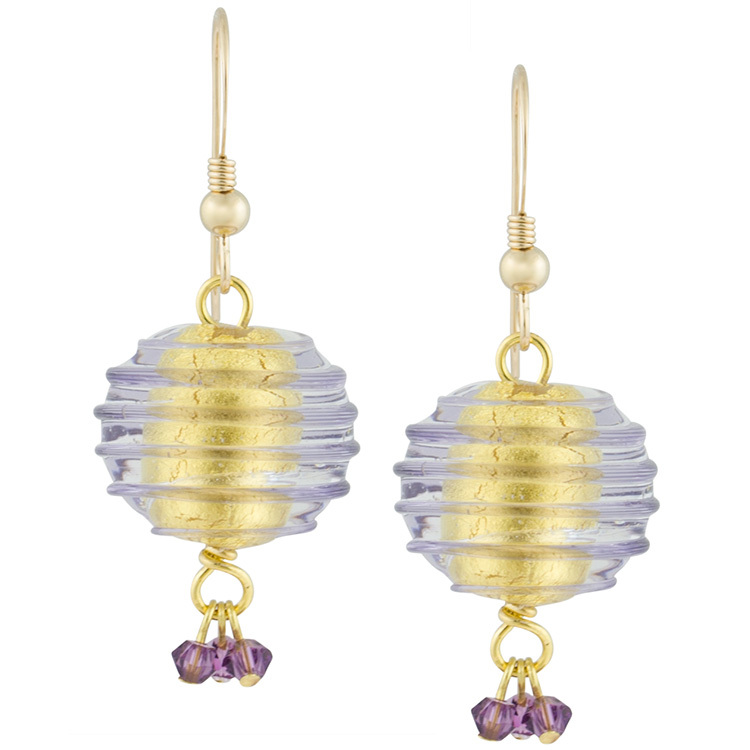 Perfect spirals of plum colored Murano glass wrap around each of these 12mm Venetian 24kt foil glass beads, adding an additional layer of color and texture to these colorful earrings. Accented with Swarovski crystals and sterling silver findings. Beads handmade in Murano Italy and assembled in our studio.